Lenovo G50-70 15.6" Gaming Laptop Intel Core i3-4010U 16 GB RAM 1 TB HDD DVD-RW. 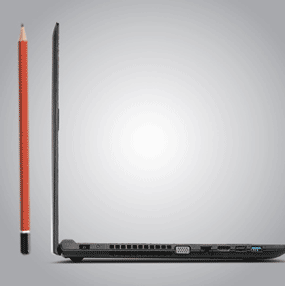 The Lenovo G5070 laptop is less than 1-inch slim, but is packed with features like an integrated DVD drive, a powerful 4th generation Intel Core processor and discrete graphics. The Lenovo G5070 has the power to perform, with an Intel Core processor, which make games, photos and media come to life. 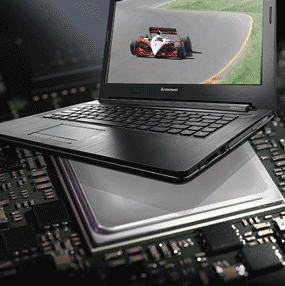 Meanwhile, the integrated DVD read-write drive and Dolby stereo speakers make the Lenovo G5070 ideal for movie buffs. The Lenovo G50-70 features up to a powerful 4th generation Intel Core i3 processor -- the ideal choice when high performance is required. The Intel 4th generation Core i processor features power reduction and battery jump, and offers up to 15% faster CPU performance than the previous generation. 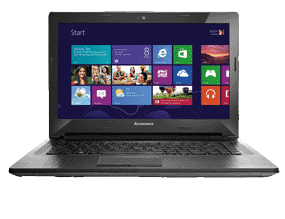 Designed to work with Microsoft Windows 8.1, the Lenovo G5070 is optimised for both work and play. All your favourite apps, sites and people can be accessed straight from the Start screen and you can use all your entertainment with a tap or click. The Lenovo G5070 weighs 2.5kg (5.51Ibs) and features a HD (1,366 x 768) resolution display, allowing you to watch movies or play games in all their glory. 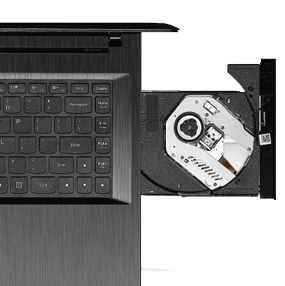 The Lenovo G5070 also features an optical disc drive, to allow you to easily watch your favourite DVD movies, install your favourite games, or transfer files. You can also safely back up precious files onto a blank disc using the writing function, making it easier to protect and transport your media. 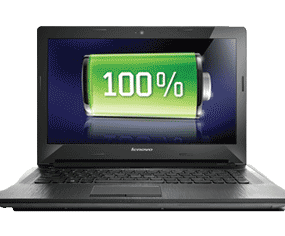 Get the most out of your laptop with the long-life battery -- the Lenovo G5070 squeezes every last bit of juice out of its high-capacity battery, providing up to four hours of productive life between charges. Listening to music, films and games on your PC will never be the same. With the Dolby Advanced Audio v2 audio tools, you can experience riveting surround sound on your PC. Dolby Advanced Audio v2 enables your laptop to deliver a crisp, clear cinematic sound experience through the built-in stereo speakers. Play your music louder with less distortion and customise your PC audio settings. The Lenovo G5070 comes with multiple wireless connection options. The built-in 802.11b/g/n Wi-Fi adapter will allow you to enjoy reliable connections to the internet, whether at home or on a public network, while Bluetooth 4.0 is available to make it easier to connect and share files with other devices. VeriFace Pro checks head movement and other characteristics to determine if a real person or a photo is being used to log in. Users can enable/ disable the live detection or set the sensitivity level according to their preference.